I am always offering travel tips and advice to my friends and family, so I thought that I would share the love on my travel blog. These travel tips will actually change your life, if you like to travel as much as we do. How many times have you gotten home from a vacation out of the country and returned with a cell phone bill that made you want to cry. Guess what?! You can call home as much as you desire, and it won’t cost you a penny! This travel tip is SO life-changing that I have written an entire travel article about how to use Google Voice & Talk-A-Tone app to make phone calls and text for free while traveling out of the country. 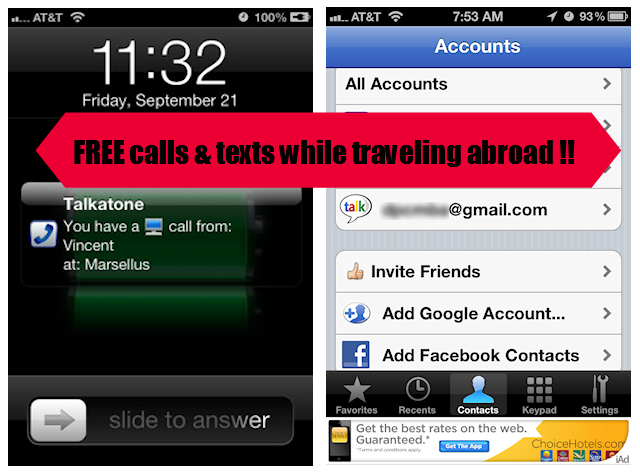 You will need to read our travel article here to know how to set up your phone prior to leaving for your trip abroad. It is important to note that you have to set up google voice on a desktop computer in your home country. You cannot set up google voice on an IOS device, including ipads or iphones. You will most likely not get a complimentary pillow on your next flight due to the cut backs in the airline industry. How many times have you tried to fall asleep by perching your head on the window or the pull-down tray ? News flash!!! Its NOT comfortable! It is amazing that a thing such as simple as a pillow can make or break your flight experience. On our last family vacation, the kids laughed at me for packing a “bulky pillow.” That silly pillow ended up being the most coveted item on the plane amongst our family. Did I share? 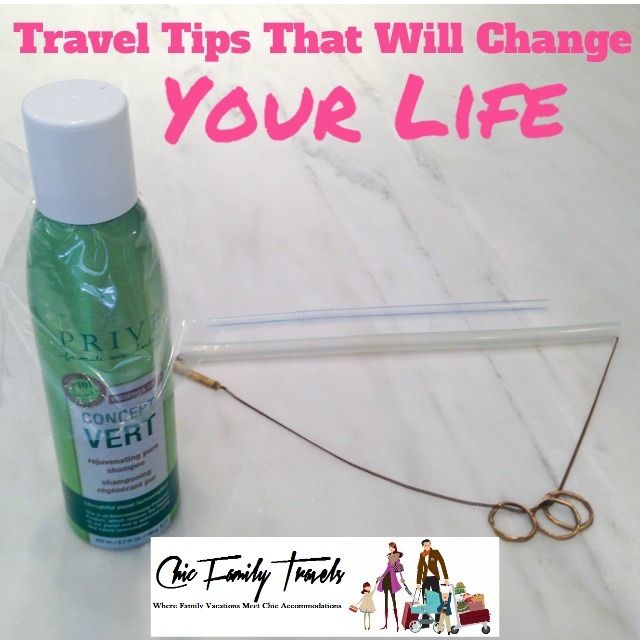 I have had to throw away a tangled necklace more than once, UNTIL I discovered this nifty travel packing trick. 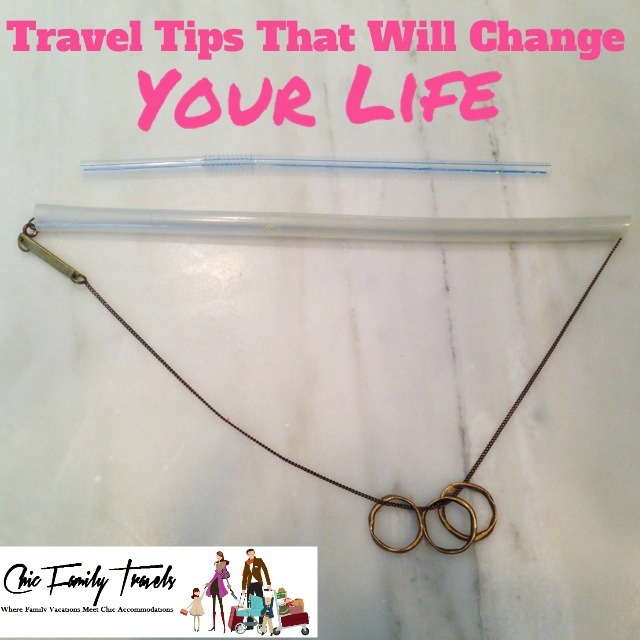 Simply, string your necklaces through a straw and never worry about tangles on your vacation again! If you have chunkier necklaces, then grab your kid’s school thermos straw! I will save you from blurting a few cuss words by telling you that the “bendy straws” can cause a frustrating stopping point mid-thread. Just saying. If you want to pack your favorite hair products, but don’t want a leaky mess then wrap your liquids with plastic wrap. You might also want to pack some extra plastic wrap, if you don’t want to leave a half-full liquor bottle that you may purchase while on vacation. I can’t stand to throw away $25 of anything! This is one of those travel tips that made me say: “Duh?! It only took me 15 years of traveling to finally figure out that American Express is ALWAYS going to the deny charge when it comes from Nicaragua, Costa Rica, or anywhere outside of Alabama for that matter. Save yourself the embarrassment and an annoying verification phone call, and just put a travel alert on your card prior to leaving home. This completes my list of 5 travel tips that will change your life. 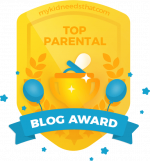 If you are traveling with a toddler, be sure to check out my article on the top 3 tips for flying with a toddler. 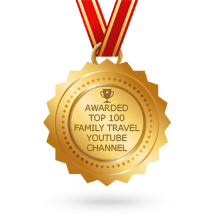 I would love to hear your life-changing travel tips in the comment section below. One of these days, I am going to write a post with ALL of my travel tips and I just might think your travel tip is so spectacular that it needs to be on the list. This one did not make it to the top 5 list, but it should have! 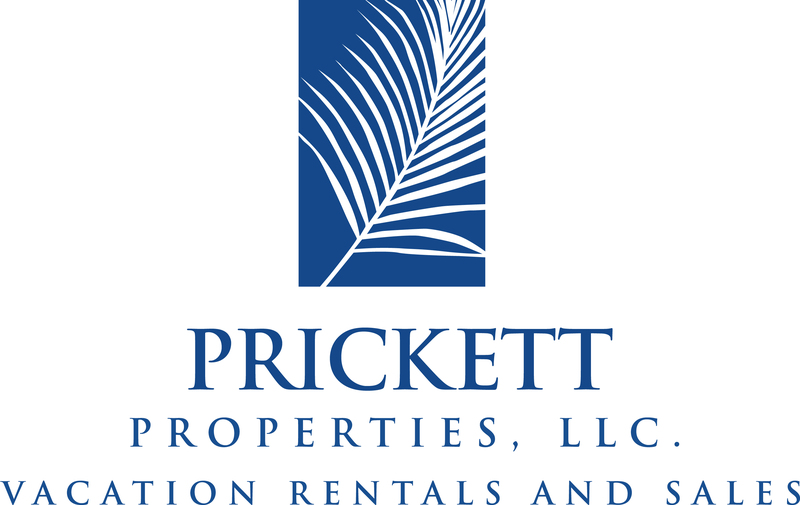 Always check for lower hotel rates at Jetsetter! These are really great tips for travelling! I am currently out of town checking out new hampshire wedding venues for my upcoming exchange of vows, and I wish I would have thought of half of these things!